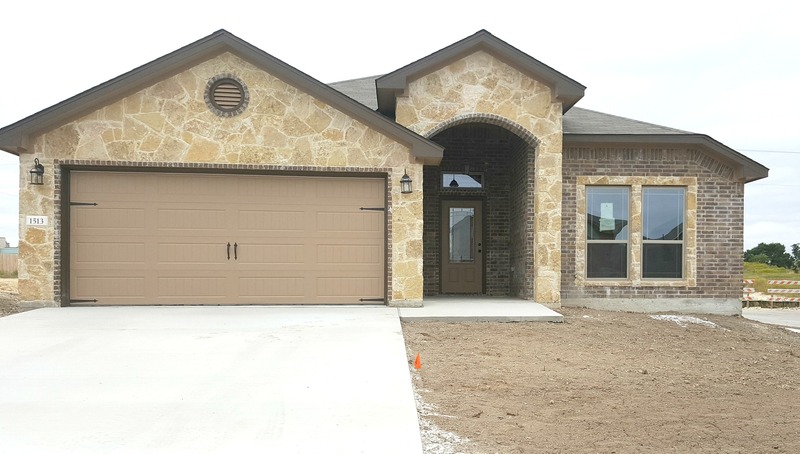 This home in the Plains at Riverside in Temple TX is almost finished! Just in time for the holidays, this Extended Prairie Plan from Jerry Wright Homes offers a huge living area, tons of granite counters in the island kitchen, A good sized pantry, and a large dining area perfect for hosting a crowd. BELTON SCHOOLS AND NO HOA! Beautifully situated on a quiet street and a corner lot, 2715 Margie is a brand new home for sale and has 4 bedrooms and 2 baths. A jack-n-jill bath serves two minor bedrooms. The builder pays a substantial amount of your closing costs, plus your title policy and survey. A new lawn, with in ground sprinkler system, will be installed, along with a six foot wood privacy fence. He's also offering a full one year warranty on the home for any failures in workmanship or materials during that year! In addition, each Jerry Wright Home has a ten year warranty on the structural elements. This home qualifies for FHA, VA, or conventional financing, too, and we can help you find the right lender who can get your loan going as soon as possible! 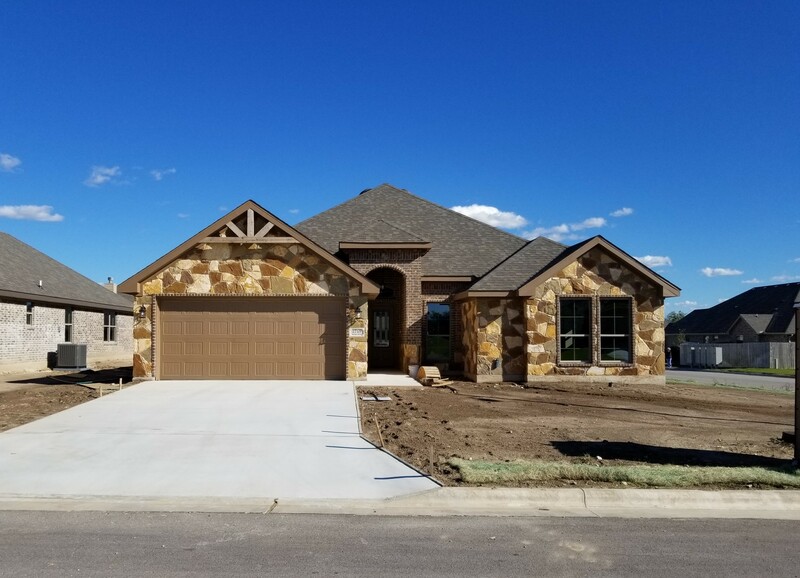 Just completed and ready for quick move in, this Red River Plan is just perfect if you are looking for that perfectly unique home! 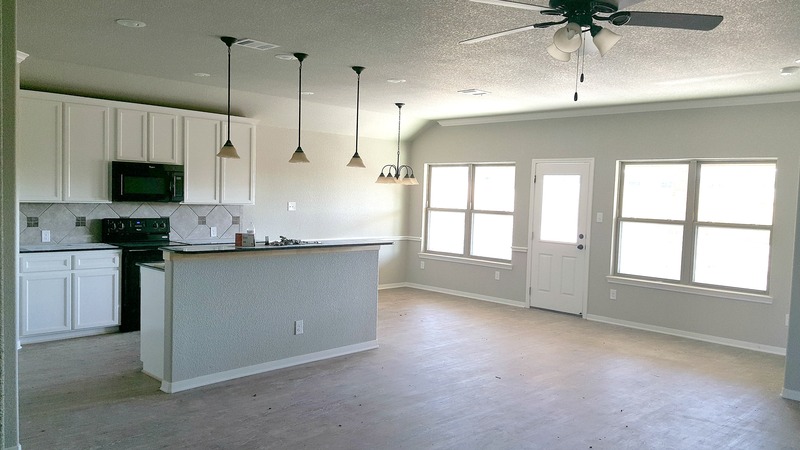 This home for sale in Copperas Cove takes some chances, and features whitewashed plank flooring, a gorgeous white kitchen, a grand entry hall and a wide open floorplan. You'll love greeting your friends and family for the holidays in the grand entry hall, and there's room for all of them to stay over in this 4 bedroom, two bath home. The open plan living area carries that grand theme forward with incredible space and open site lines. 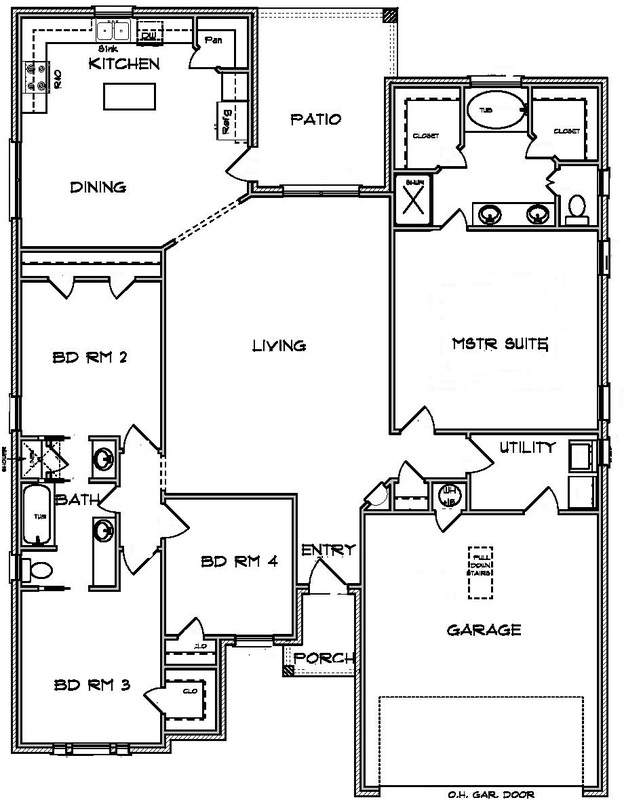 The kitchen/dining/living has room for everyone and all the large furniture you love. A harvest farm table will fit right in with this plan arrangement, and there is a wide expanse of wall space just begging for a wide screen tv. 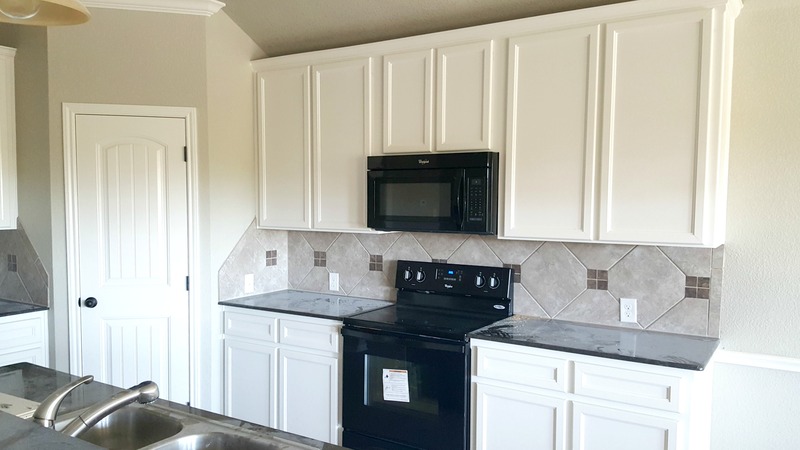 Just ten minutes from Fort Hood and set in the hills and winding streets of Heartwood Park, 1513 Neff Drive is available for early move in and fast closing! 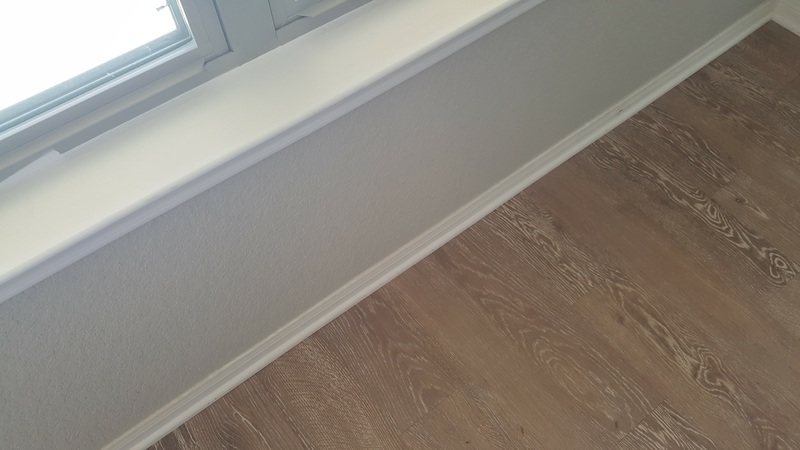 Builder is including full yard grass sod, full yard automatic sprinkler system, 6 ft. wood privacy fencing to rear corners of the home, as well as paying your closing costs! Call 254-681-4875 and chat with Mary Ann about how you can nail down this fabulous home at 1513 Neff Drive in Copperas Cove, TX. Directions: From FM 116 North in Copperas Cove, turn left on Courtney Lane, then right on Neff.